High in the nutrients herps need for growth and good health, these Dubia are commonly fed to animals like bearded dragons and tarantulas that can handle a bigger insect. 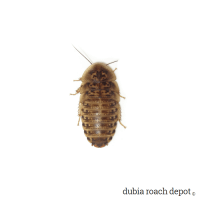 1-inch Dubia roaches are excellent primary feeders for most commonly kept animals like bearded dragons, chameleons, geckos, and tarantulas. They can also be fed to small tegu and monitors. At about three months of age, these nymphs are nearing adulthood. 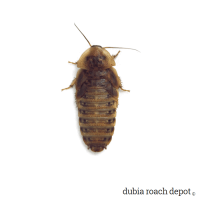 They’ve spent much of their time eating and storing vitamins, minerals, and other nutrients that underpin the hallmark of Dubia roach feeders. Namely, their superior nutrition. And because they haven’t transitioned to adulthood yet, their exoskeletons are still relatively tender. Easy digestibility is one of the beauties of Dubia roach nymphs. 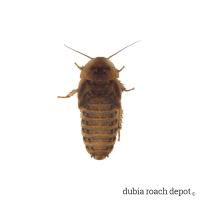 As we’ve covered elsewhere, Dubia roaches are exceptional feeders for captive insectivores. This is true for many reasons. One reason is their high nutrient density, which is in part due to low chitin. This means that while adult Dubia are high in nutrition, nymphs are even higher! 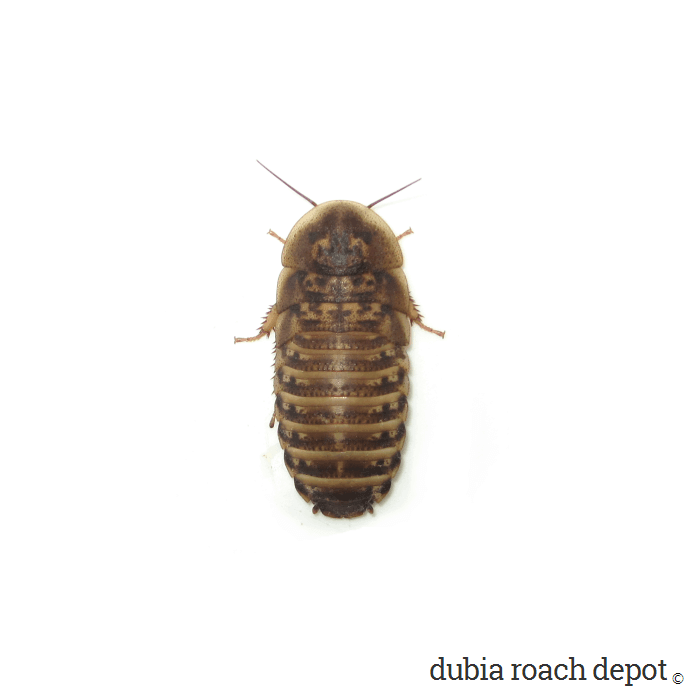 If we had to choose one insect to feed our animals based on nutrition alone, it would be the Dubia roach. And if we had to choose one phase of development to maximize dietary nutrition, it would be the pre-adult nymph. 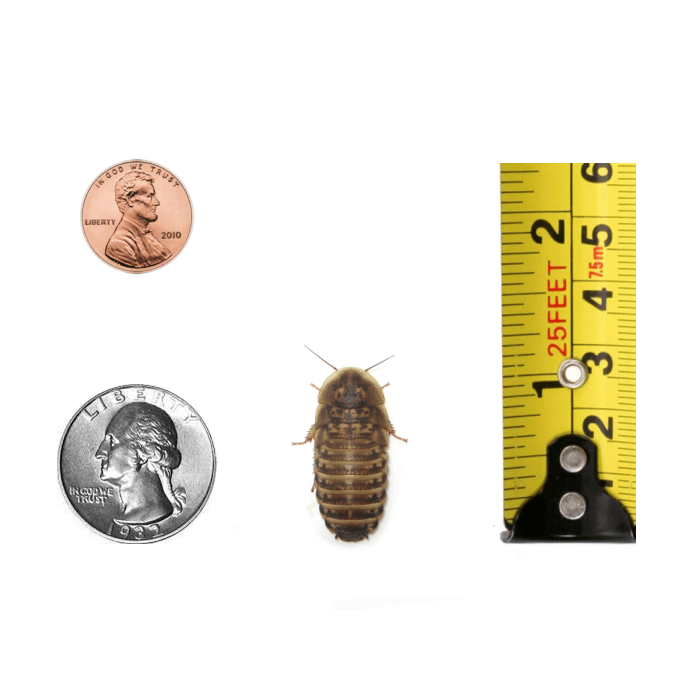 Like all our roaches, we raise these nymphs on a variety of healthy foods like fruits and vegetables as well as our own specialized roach chow containing nutrients that support every stage of their development. One of the benefits of our singular focus on efficient roach breeding is that the nymphs we produce make uniquely nutritious feeders. This is on top of the fact that Dubia roaches are already a supremely nutritious feeder insect. These roaches are about 1-inch. However, size may vary a bit according to hydration and feeding status. As with all our nymph sizes, you can feed them to increase their size a bit. Food and water can also be withheld to decrease their size. This technique comes in handy if a Dubia feeder is slightly too large or too small for an animal.